Mate Precision Tooling, Anoka, MN, introduces the Mate LongLife slitting-tool system for Trumpf-style punch presses that combines premium tool-steel punch and die inserts. Punch and die inserts come in two standard sizes—5- by 56-mm and 5- by 76.2-mm rectangles. Fabricators can select from two insert punch holders—one includes an integral alignment ring for quick and precise tool setup; the second requires a heavy-duty alignment ring to allow manual angle setting. Die inserts come in 0.10-mm die-clearance increments from 0.10 to 0.60 mm. 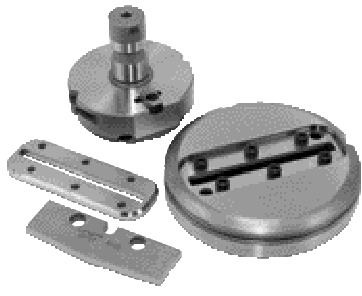 Die insert holders offer precise angular orientation at 0 and 90 deg. for optimum flexibility.